Civic engagement is not simply voting on election day as many citizens and politicians believe, especially in newly democratic countries. It’s not only holding meetings between constituents and elected representatives. Civic engagement consists of a wide range of various activities and important efforts made by decision-makers, political parties, NGOs and other sectors of society, and most certainly citizens themselves. I have been engaged in a project implemented by the National Democratic Institute that grapples with the role of constituent feedback in developing policy recommendations. 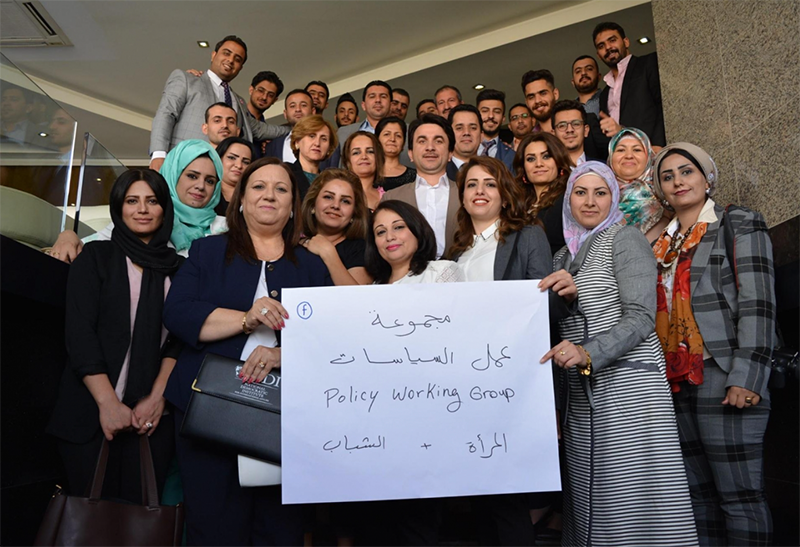 After consultation with leaders of political parties, 44 youth from 10 political parties and civil society organizations were brought together. The participants agreed to develop potential solutions to six major issues that marginalized groups are facing. Demonstrate success from elsewhere: in countries that are new to democracy we find that decision makers rely on their experiences and perspectives in making solutions, and do not accept the importance of feedback in making policy solutions impactful and sustainable. To help decision makers understand and believe in the value of feedback from various stakeholders we recounted stories of success from other countries. We emphasized how integrating constituent feedback in other countries led to increases in trust and support in the policy solutions and the responsible political parties. Discuss and debate: while important to consider the viewpoints of all stakeholders related to the problem, we should be prepared for differences in stakeholders’ opinions. When disagreements arose as we drafted the policy recommendations we organized several discussions between citizens, decision makers and experts. Discussion and even debates between stakeholders helped us find novel solutions that met people’s concerns while at the same time respecting financial and legal constraints. Advocate for impact: as the policy-working group finalize their policy recommendations we’re realizing that simply presenting citizen views to decision makers who are interested in hearing them is not enough. In Iraq, decision makers are focused on big issues like oil revenues and conflict. The issues on which citizens are giving them input may seem like simple matters. It’s necessary for constituents and NGOs to make savvy use of media and social media in advocating for decision makers to act on the feedback that they hear. Regular people can take role in shaping their community conditions by advocating for their rights, ideas, and perspectives to be considered. This project has helped me understand not only the essence of feedback, but the significance of closing loops as well. I believe that the best practice to solve any problem starts by listening to the affected people, understanding their concerns and what they think might be the solution. And we must ensure that decision makers are receptive to that feedback, really listen to it and act on it. There is an important role for moderating parties such as NGOs to help this process achieve successful results, especially in developing democratic countries. Haider is a civil society activist based in Iraq, working with local and international organizations in the field of capacity-building. He works mainly on development programs for governance and political parties. 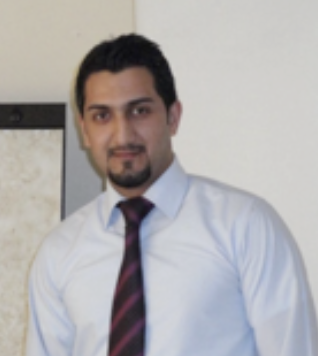 He is currently working as an intern with Feedback Labs through the World Learning program.